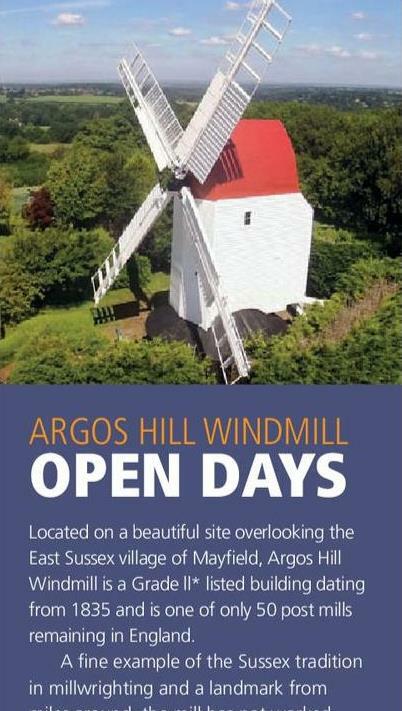 19th April 2019 Argos Hill Windmill was featured in the April edition of the INDEX Magazine. On Sunday 10th March the Friends celebrated their first open afternoon of the year welcoming more than 60 visitors to the mill. 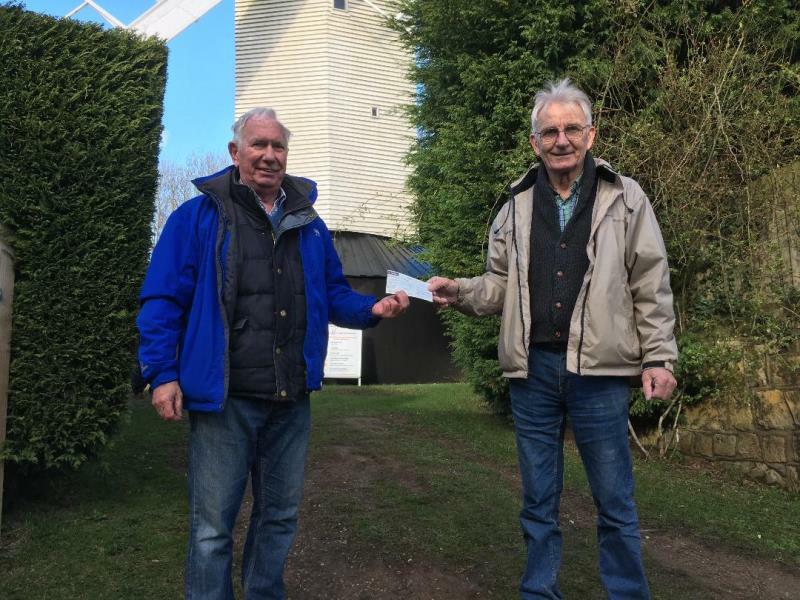 John Bowerman, Chair of the Friends, marked the occasion with the presentation of a cheque for £4,500 to Geoff Daughtrey of Argos Hill Windmill Trust Limited. 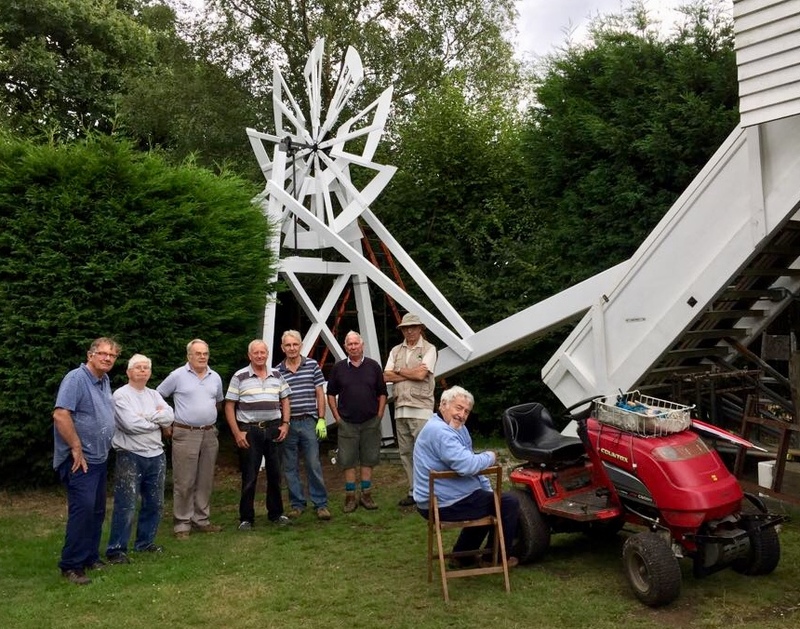 The Friends were formed some twenty years ago with the aim of ensuring the preservation of the windmill for future generations. 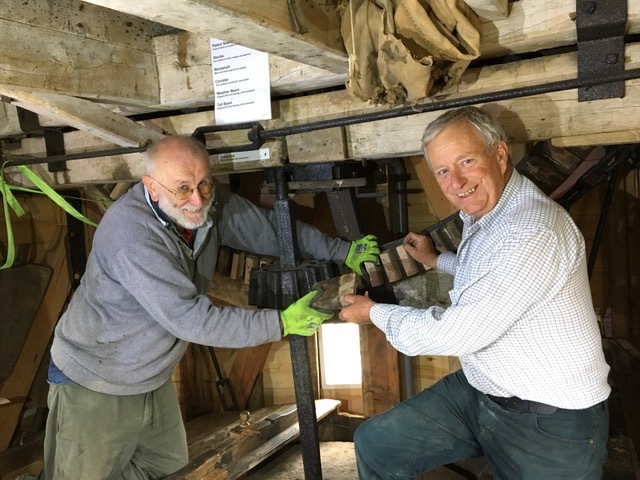 Brian Pike and Jim Pointer were two of the original founders and they continue today to take an active role in the Friends and the restoration. They, together with the Members, the Trustees and Volunteers can be justly proud of all that has been achieved. 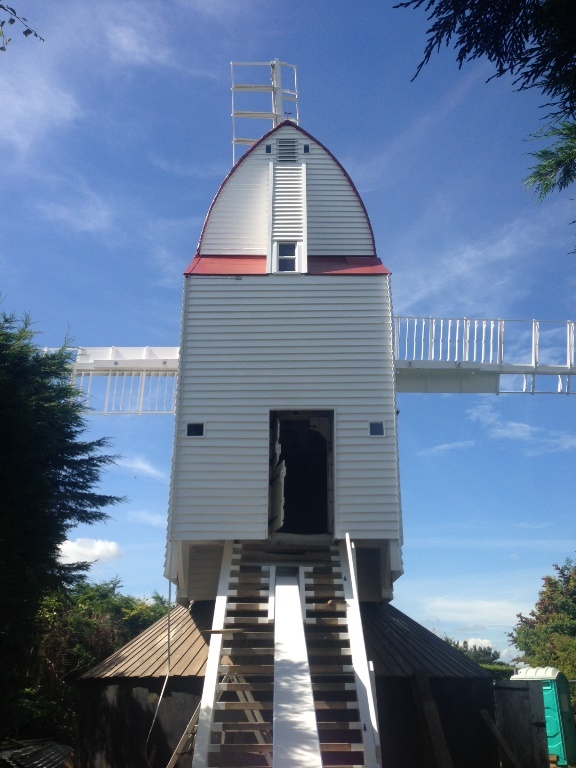 Phases 1 and 2 of the restoration were completed in 2016 when the sails were turned by the wind for the first time in 80 years. 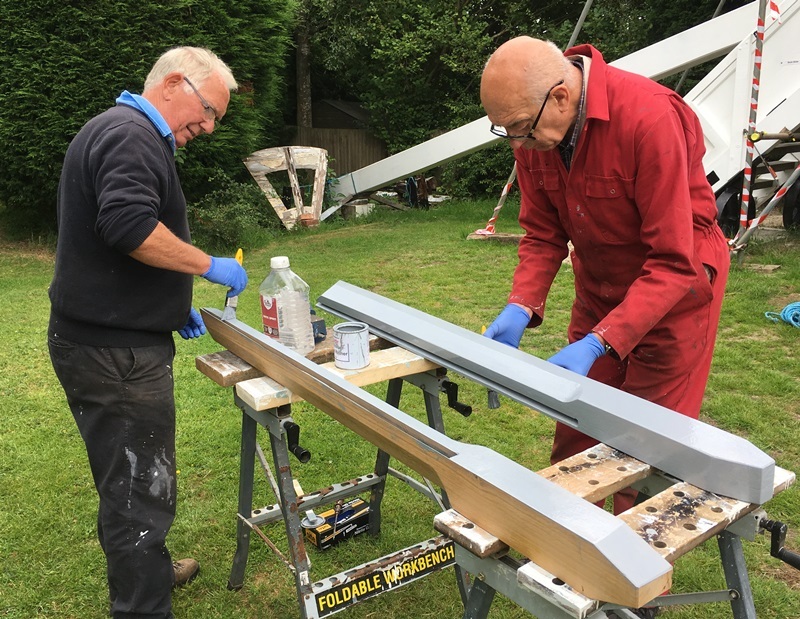 Phase 3, the construction of the tail pole and fantail carriage was completed in 2018. 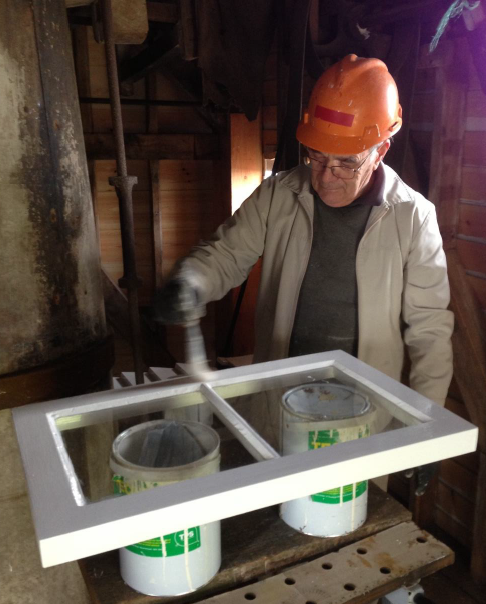 This year, we are well underway with the renovation of the mill’s internal machinery. So perhaps with a fair wind in 2019 we may see the sails not only turning in the wind but driving a set of millstones to produce flour! Without the financial support of the Friends and the local community none of this would have been possible. 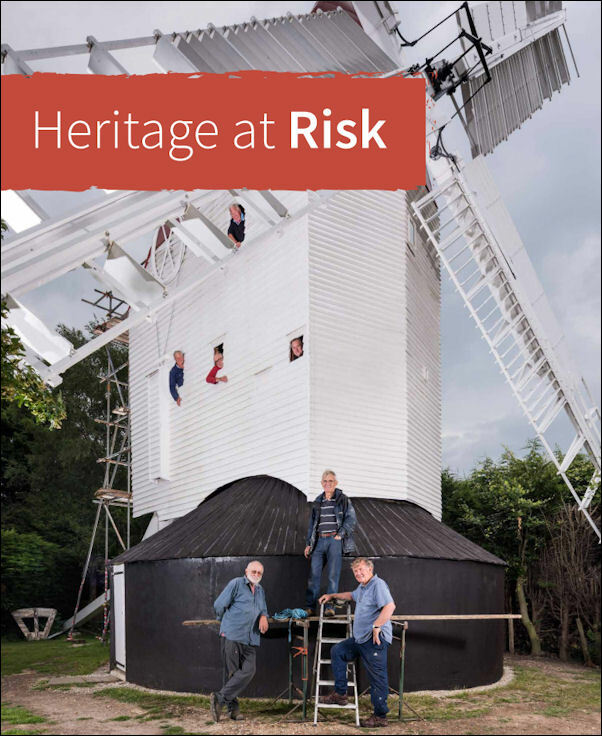 Subscriptions, donations and various fund raising initiatives were key to the Trust unlocking major awards from the Heritage Lottery Fund and other grant making bodies. 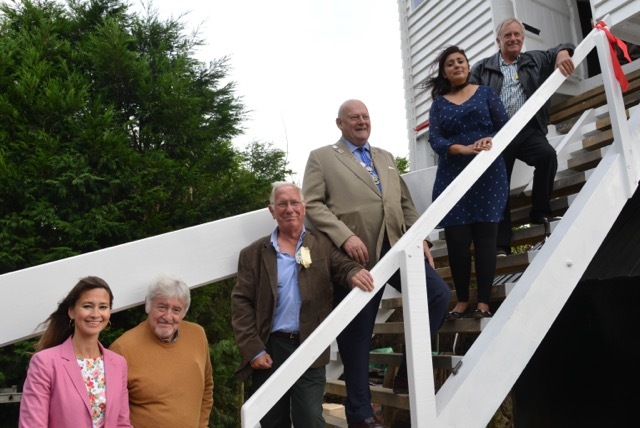 Over £350,000 has been raised and expended on the restoration to date. But it does not stop there if we are going to preserve for future generations what we have fought so hard to achieve. 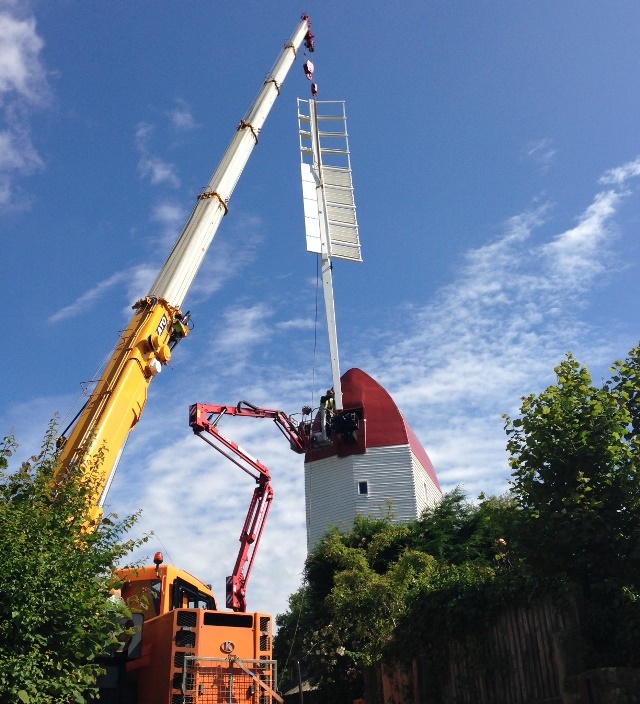 Maintenance costs alone are estimated to be at least £5,000 per year and that is before tackling the encroachment of the hedges which threaten to damage and obscure the mill from view or the re-instatement of the turning circle. 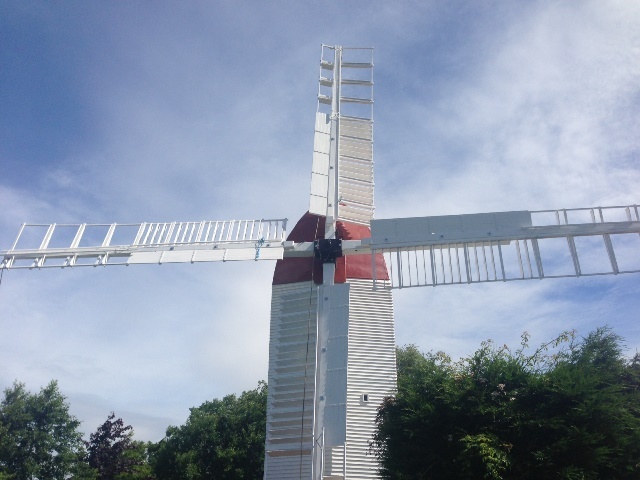 In order to meet these challenges, the Friends committee at its AGM on 5th April will propose a restructure of the society under the umbrella of Argos Hill Windmill Trust and existing Friends will be invited to become patrons of the Trust with an individual representative on the board. 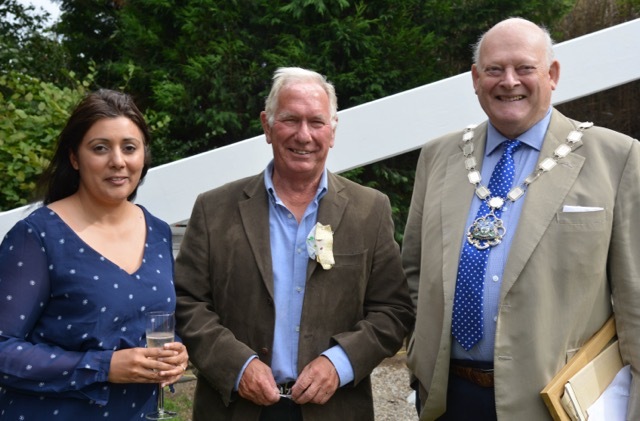 It will also be an evening of celebration to recognise the significant contributions and donations that the Friends have made over the past 20 years. We would love to see many new Friends/Patrons at our AGM, indeed anyone interested in preserving our local heritage and who would like to help in this most worthwhile project. I look forward to welcoming you all to our AGM which will be held in the Scout and Guide Headquarters, (adjacent to Mayfield Memorial Hall) on 5th April at 7.30 for 8.00 pm. 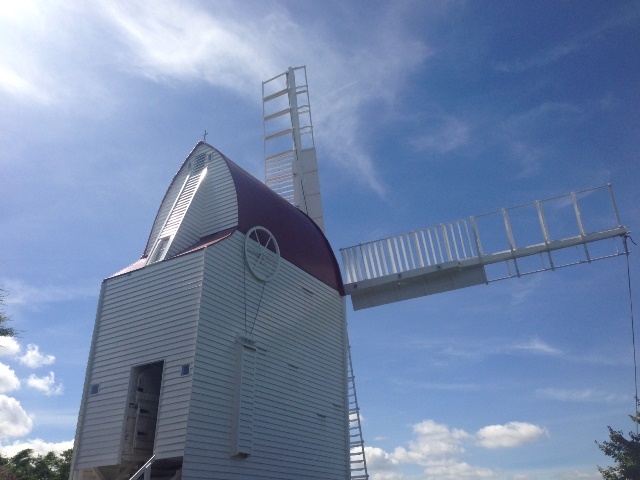 In the meantime do please come and say hello on 31st March when the mill is next open. 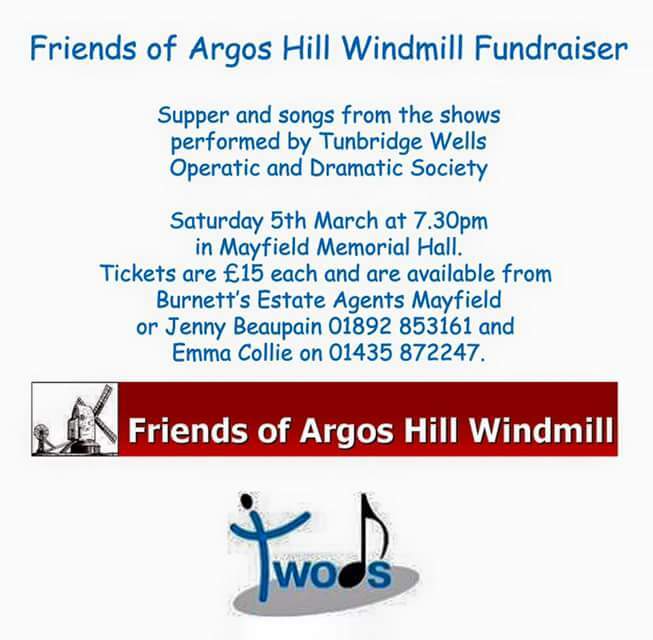 FRIENDS OF ARGOS HILL WINDMILL QUIZ! Saturday 16th February 2019. 7:00pm for 7:30pm. Mayfield Memorial Hall. Bring your own food and drink. Tickets £6 - available from Burnett's (Mayfield), Courtyard Cafe (Rotherfield) or 01892 852955. 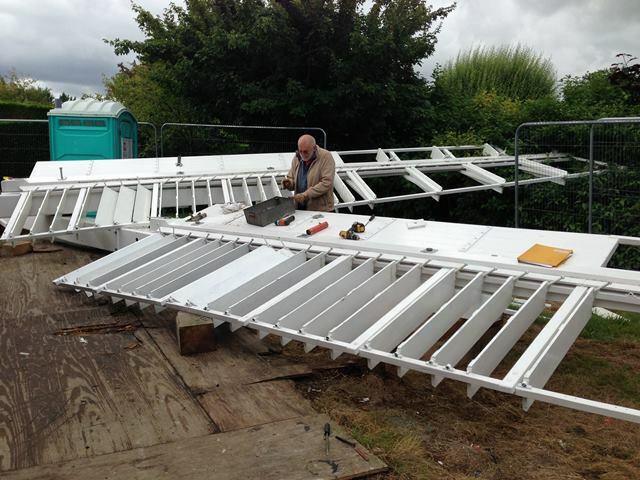 A new access ladder has been installed on the fantail carriage. This is a replica of an original feature which has been missing since the 1940s! 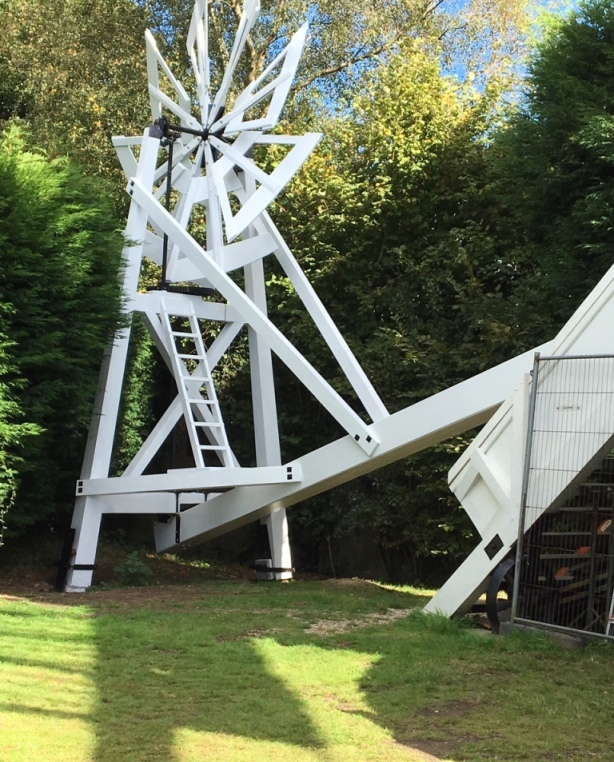 Congratulations to the team - the fantail carriage is now in situ! 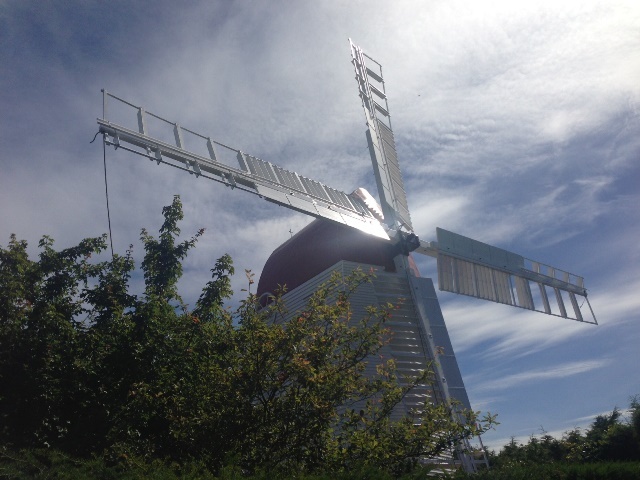 The windmill will open next on Sunday 17th June (Father's Day) and then twice in July, Sunday 8th and Sunday 22nd from 2 – 5 pm. Parking is available close by. It is also a pleasant walk or bike ride from both Mayfield and Rotherfield. Alternatively buses 251 and 252 stop at the Bicycle Arms road/ junction with the A 267, then a short walk up the footpath slope comes out very near the windmill. 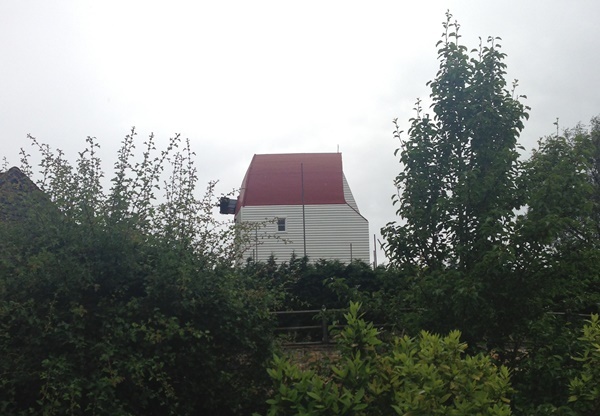 Refreshments are available in the roundhouse where there is also a little museum of mill artefacts together with the story of the restoration. 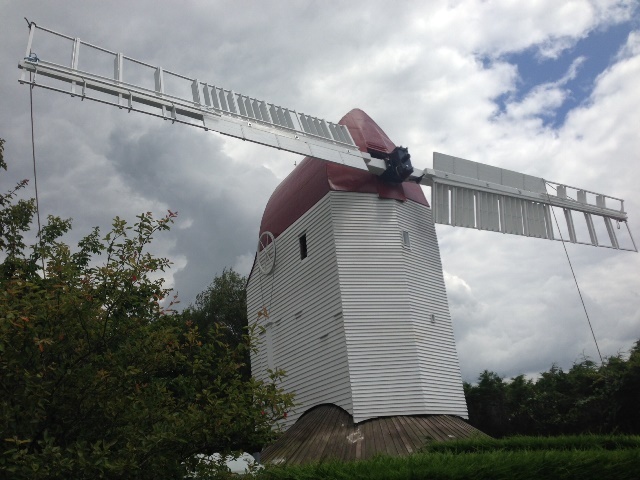 There are windmill experts on hand to act as guides for the mill visit. Children are able to mill corn themselves or with help using the quern then take a small bag of their flour home. There is no entry charge but donations are always welcome. Further Open days are planned this year on Sunday 12th August, 8th and 9th September (Heritage Weekend) and Sunday 14th October. Our next open days will be on Sunday 11th March and Monday 2nd April from 2pm - 5pm. Free entry! APRIL 13TH 2018: SOCIAL EVENING AND A BRIEF A.G.M. Scout Hall Mayfield 7.30 for 8 pm. Please come and enjoy a glass or two of wine and some nibbles. 21st November 2017 Millstones turned by wind for the first time in over eighty years! On Tuesday 21st November 2017, one set of stones (the French Burr tail-stones) were connected up and run by wind for the first time in over eighty years. For this test, the runner stone was lifted well clear of the bed stone. The stones ran smoothly, with no issues encountered. 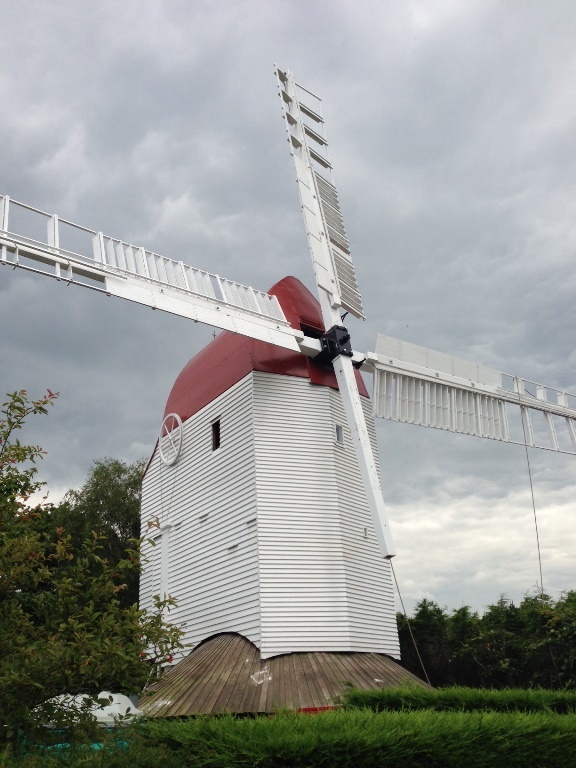 Wednesday 26th October, the Wednesday of half term, is your last opportunity to visit the windmill this year. It will be open from 2-5, and parking nearby will be indicated. There will be a series of Open Days next year and we hope to be able to send out some information about this and other matters towards the end of the year. We would like to thank those who have visited this year, and look forward to welcoming you again, and others on their first visit. We have guide volunteers to show you around the mill. There is a small collection of artefacts plus information in the roundhouse, and quern for the children to mill flour themselves before returning home to do some baking. Homemade cakes and hot and cold drinks are available too. The visits are free, though there are a few donation boxes around. Our next open day is WEDNESDAY AUGUST 9th, open from 2 - 5 pm. 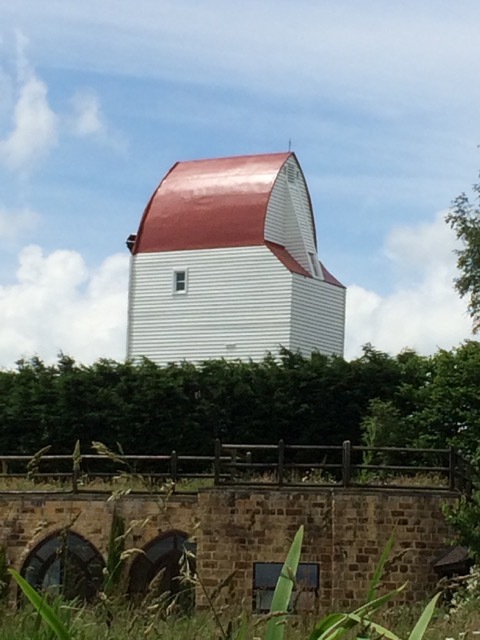 Do come and visit one of the most interesting buildings in the area and enjoy the wonderful views from the highest point of the High Weald. There is car parking available close by but why not try one of the lovely walks from Mayfield and Rotherfield to Argos Hill. Hot and cold drinks and homemade cakes are available plus of course a guided tour with our experts. 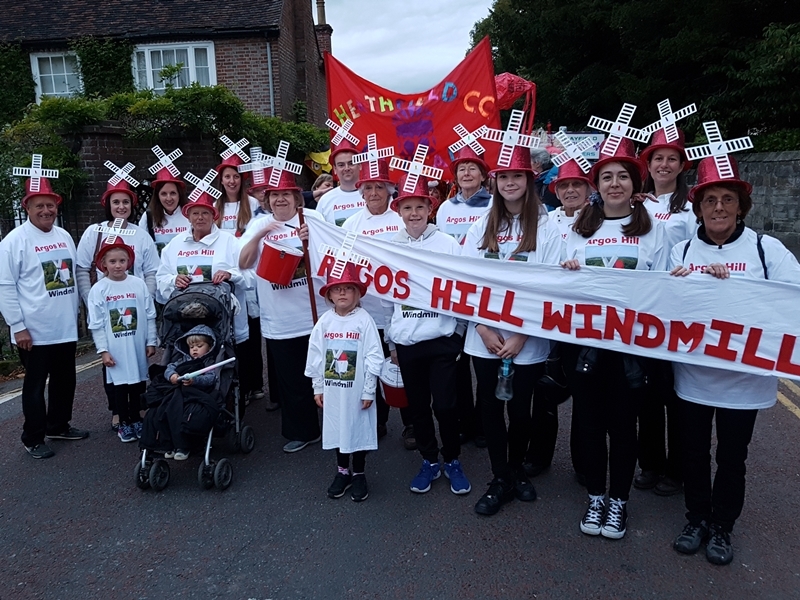 Looking ahead to the Mayfield and Rotherfield Carnivals in September we are planning walking groups behind our new banner and would welcome anyone who would like to support us with this. Further open days are Saturday and Sunday, SEPTEMBER 9th and 10th and Sunday October 25th, from 2 - 5 pm. 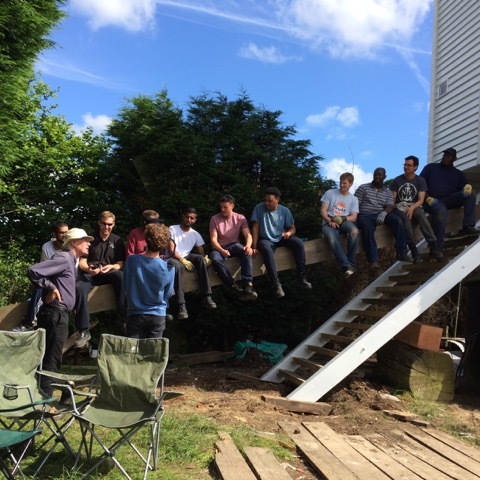 29th June 2017 Our new sack slide has been completed. This feature has been re-instated after an absense of at least 70 years. 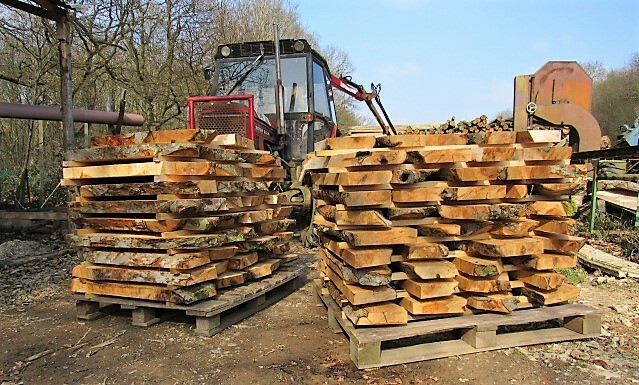 7th April 2017 Many thanks to Ken Hammant for the very kind donation of freshly-sawn apple wood. We will let the wood season before cutting and shaping into new cogs! 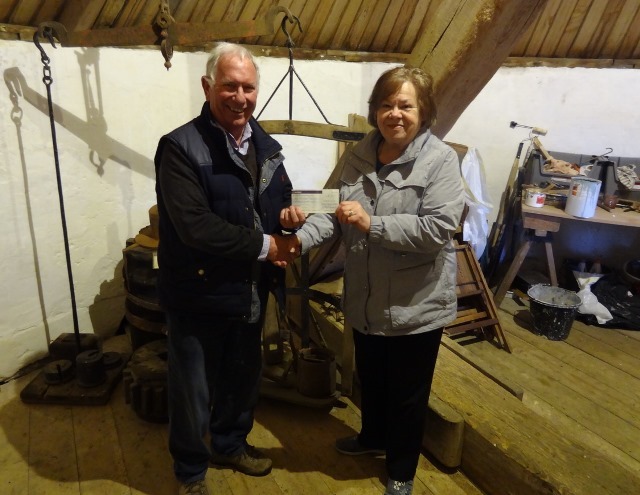 8th March 2017 Argos Hill Windmill Trust are extremely grateful to the Friends of Argos Hill Windmill for their marvellous donation of £8,000. A huge amount of time and hard work has gone into raising this money through local fundraising initiatives. We are truly grateful for the wonderful support of the friends. 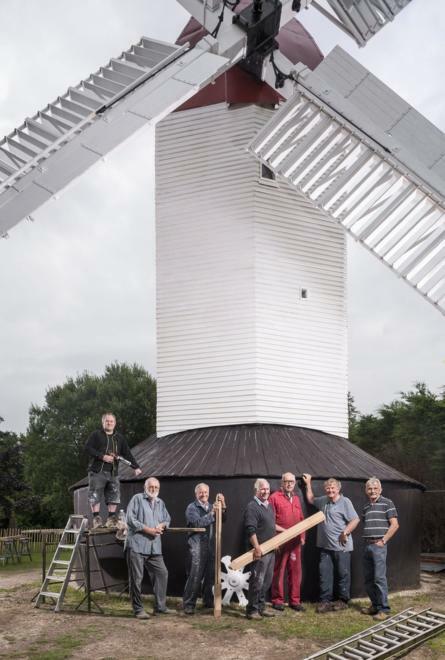 We are delighted to announce the days in which the Mill will open to the public this year. We will open from 2 pm - 5pm on the following days and will endeavour to provide tea and cake too! 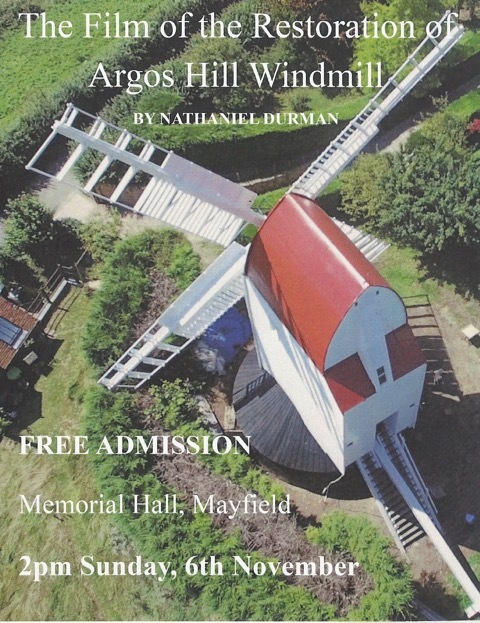 24th February 2017 The Friends of Argos Hill Windmill AGM and Dutch Supper Celebration. We are holding our AGM at the Mayfield Scout Hall on Tuesday 11th April at 7.30 pm for an 8 pm start. After the formal proceedings we will sit down to share a ‘Dutch Supper’ of light bites. We invite you to each bring a plate of food to share with the other guests. 22nd November 2016 The sweeps were turned by wind today - for the first time in over 80 years! There is a video here. 9th October 2016 We will be holding an open day at the mill on Sunday 23rd October from 14:00 - 17:00. Hope to see you there! 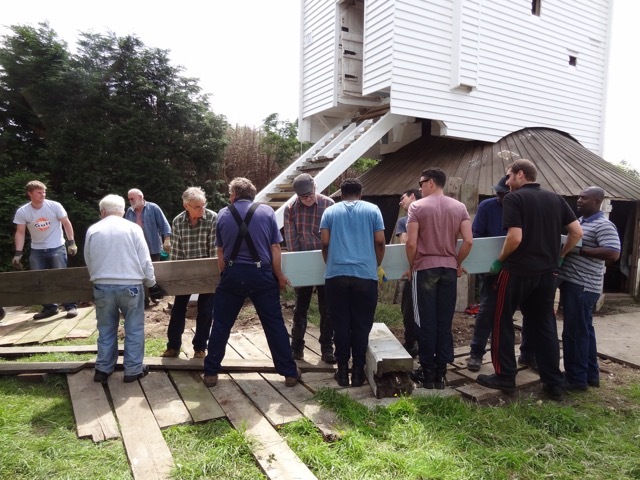 9th October 2016 A film of the restoration of Argos Hill Windmill will be shown on Sunday 6th November at 2pm in the Mayfield Memorial Hall. Free admission. Hope you can make it! 7th September 2016 Our virtual tour of the mill is now live - please click here to access the tour! 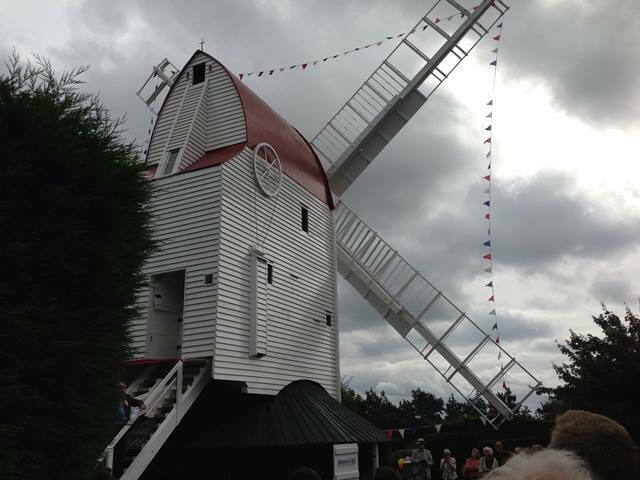 Sunday 4th September 2016 was a significant milestone in the history of Argos Hill Windmill when the restored mill, decorated with bunting, was revealed in all its glory to over 160 of our principal supporters. The grand opening was held to celebrate the completion of phases one and two of the restoration project and to announce the commencement of phase three. 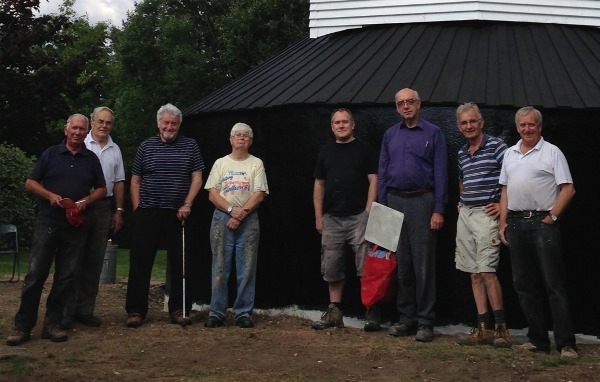 30th August 2016 Another great working session at the mill today, painting the roundhouse walls. 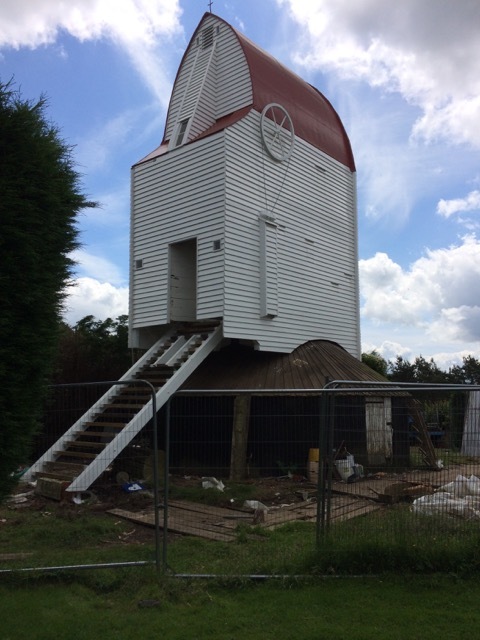 12th July 2016 The shutters have been installed into the sweeps. 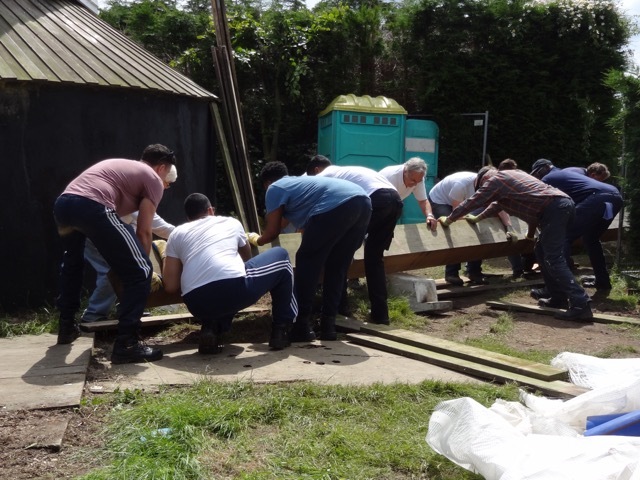 28th June 2016 The new tailpole has been man-handled into position. 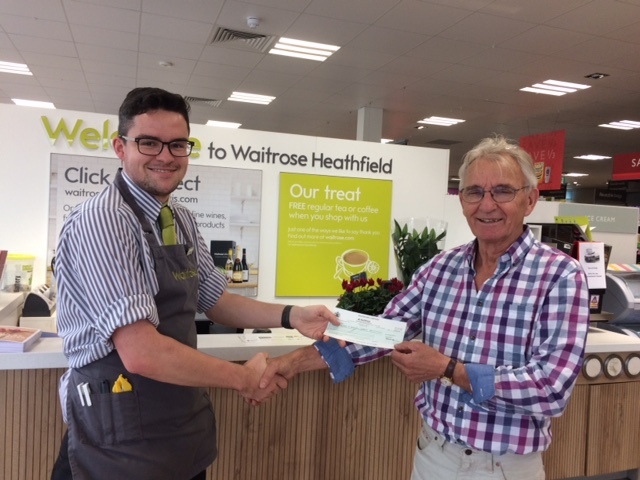 18th June 2016 We are incredibly grateful to Gatwick Airport Community Trust for their £1,000 grant towards our new tailpole! 23rd March 2016 Painting volunteers needed! 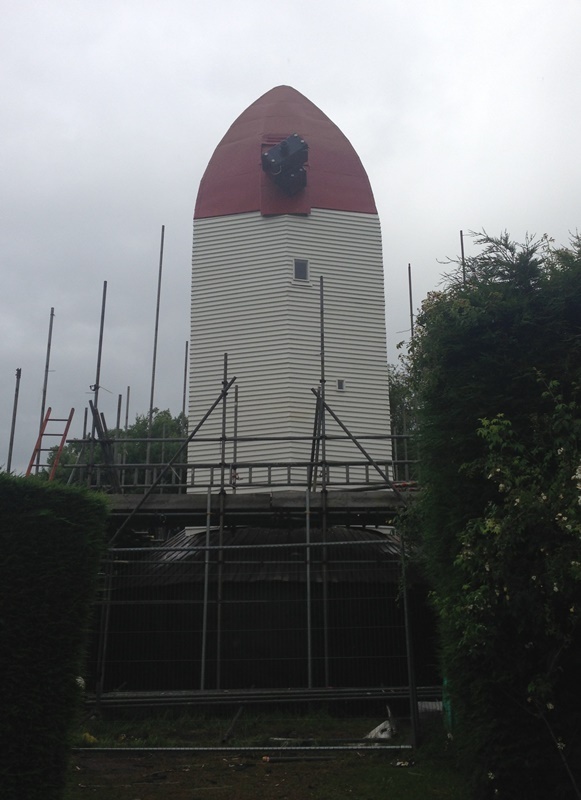 We need help in painting the weatherboarding on the outside of the mill. 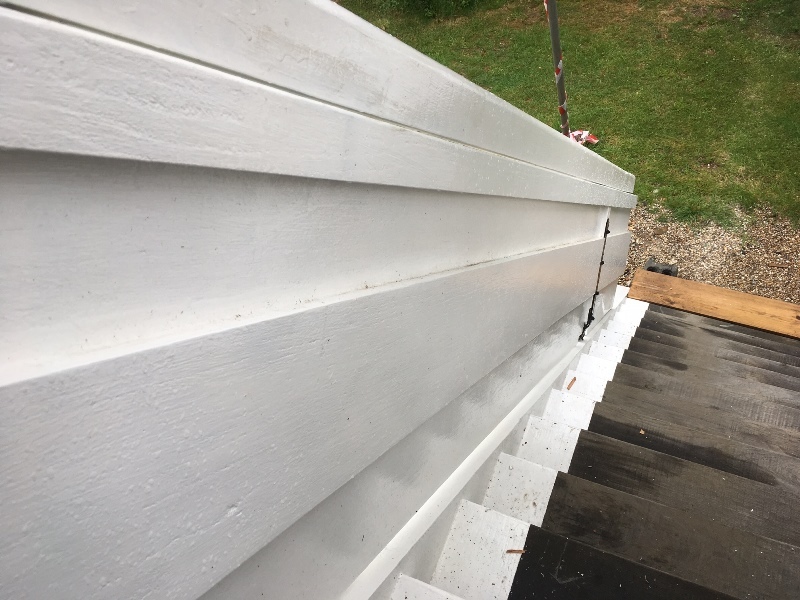 The sanding and preparation has already been done and we need volunteers who don’t mind climbing ladders up to the scaffolding and planked walk ways, from which we will paint. 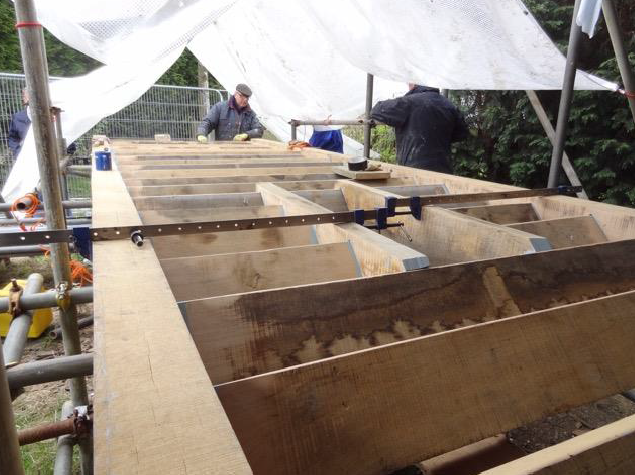 The scaffolding is covered with strong sheeting so you would be protected from the weather. Please ring Jenny Beaupain on 01892 853161 if you are game to participate. We will meet every Tuesday. 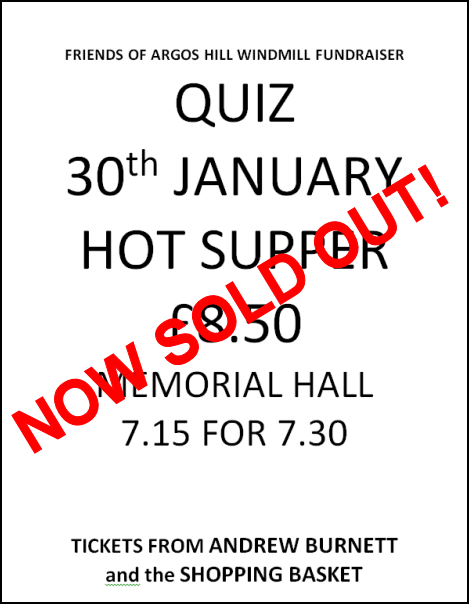 A huge thanks to everyone who supported the fundraising quiz night on 30th January. 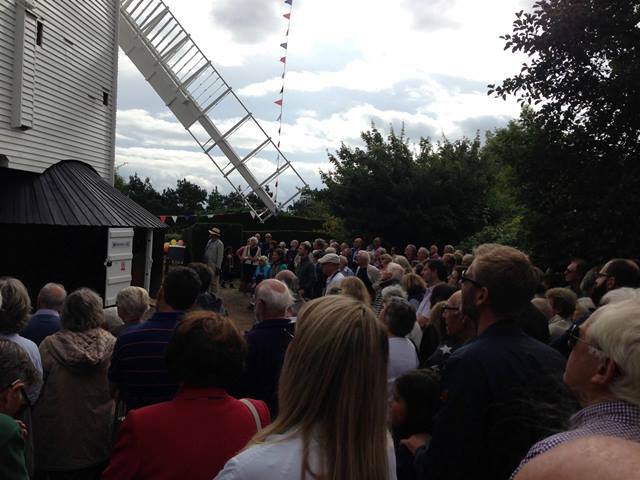 We are delighted to announce that this event raised £1,077 towards the windmill restoration fund!